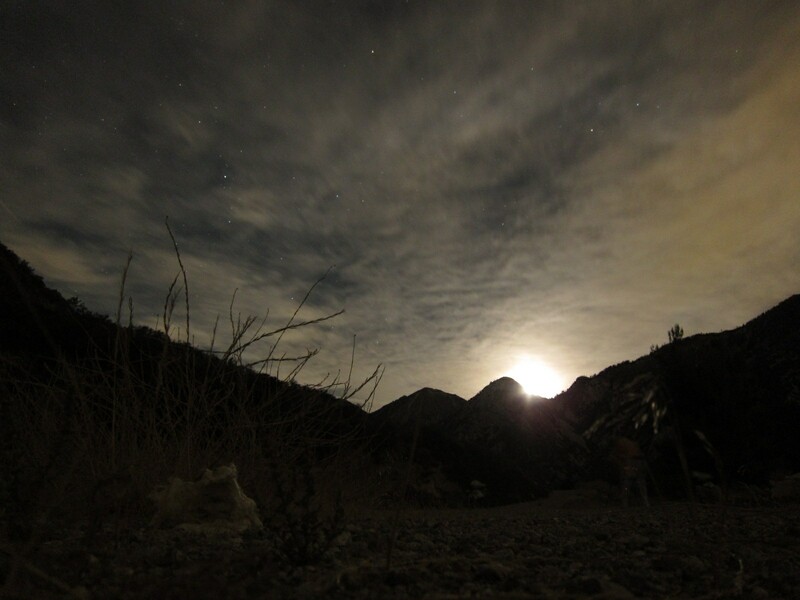 Moonrise on Mount Baldy, Oct. 3. Photo by Agnes Kwon. Last Wednesday evening was the fifth anniversary of my first light with my first telescope. On Oct. 3, 2007, the UPS guy dropped of a big box with an Orion XT6 inside. I built the scope on the living room rug, used a distant water tower to get the finder aligned, and waited impatiently for nightfall. The first object I pointed the scope at was Jupiter. I’d already seen Jupiter and all four Galilean moons with binoculars, but the view in the telescope was indescribably better. I could see cloud belts and colors and details I would not have thought possible. After Jupiter I turned the scope to the Andromeda galaxy and let my eyes collect photons that had been travelling for 2 million years. My final object for the night was the Pleiades, which just barely fit in the field of view of my low-power eyepiece. One thing I have always been glad of is that I started keeping an observing log from the get-go. It’s an Excel file with date, time, location, instrument(s), objects observed, and notes from every binocular or telescopic observing run since that first one. It runs to 2297 rows now, with notes on all 396 of my observing sessions to date. I was kind of hoping that my fifth anniversary in amateur astronomy would coincide with my 400th observing session, but I’m not quite there yet. It’s a fitting time to reflect on all of the amazing things I’ve seen in the past five years–and to ponder all of the wonders I have yet to see. 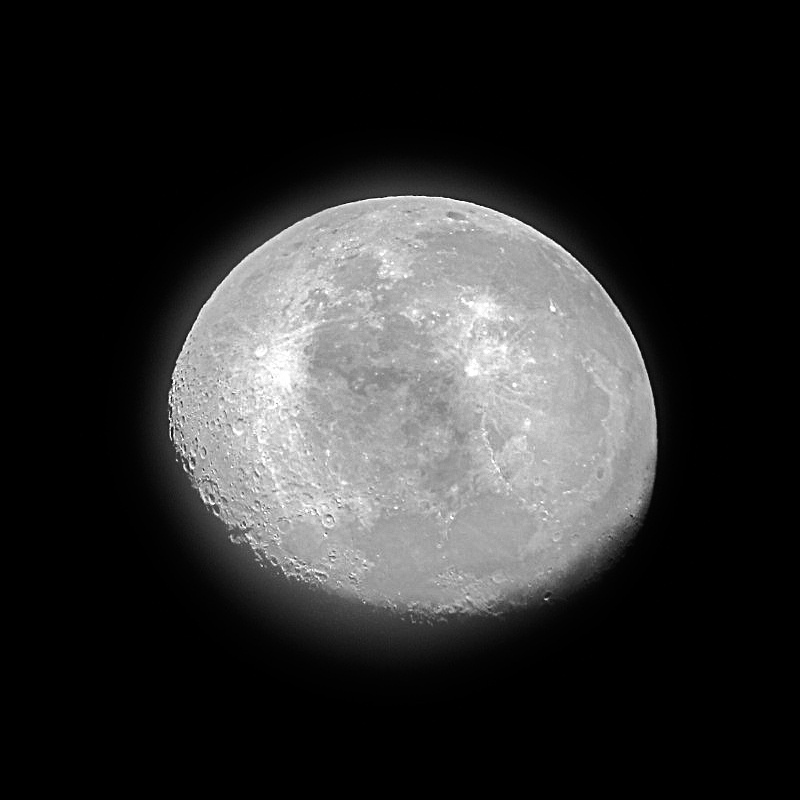 Waning gibbous moon, photo by Agnes Kwon. A couple of months ago I made a list of my favorite observations of my observing career so far. Heading the list are the annular eclipse and the Venus transit from earlier this year. Other highlights include seeing the gegenschein at the All-Arizona Star Party in 2010, watching the crescent moon pass in front of the Pleiades from the Salton Sea, and tracking a comet as it moved against the background stars, with fellow PVAA member Steve Sittig up at the Webb Schools (never got around to blogging that one–shame). These were all fantastic things to witness with my own eyes. Each one is engraved indelibly in my memory. Probably the most moving was seeing the little black dot of Venus crossing the face of the sun, and knowing that that tiny dot was a world, and not jut any world, but a twin of Earth. It was a profound–and profoundly odd–experience. I’ve learned a lot about observing itself in the past five years. I know my way around the sky pretty well. I know that if the night is sufficiently clear and if I’m fanatical about dark-adapting my eyes, I can see the Crab Nebula with 15×70 binoculars from my driveway. After buying and selling lots of telescopes, I’ve learned what telescope I have is way less important than how I use it–and mainly, just that I use it. And most importantly, I’ve learned that I am a social stargazer. If there is a common thread that ties together all of my favorite observations, it’s that they were shared with others–sometimes a whole crowd of people at a public outreach, and sometimes just one or two friends in the dead of night in the middle of nowhere. Oh, I’ve spent plenty of nights at the telescope alone, and those solo vigils are often how I get away from it all. But the “Aha!” moment of discovery is reduced to a dim shadow if there’s no-one there to share the “Aha!” with. 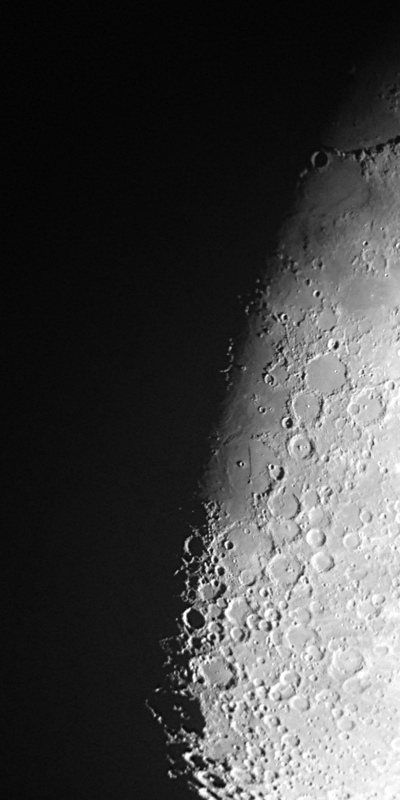 iPhone photo by Chad Claus, shooting afocally through my Orion XT10 with a 32mm Plossl eyepiece. So it’s fitting that last Wednesday night I went up Mount Baldy with a group of friends and spent the evening stargazing. Most of them are new to observing so I gave them a quick tour of some late summer and early autumn highlights. I didn’t see any objects I hadn’t seen before, but it would be a mistake to say that I didn’t see anything I hadn’t seen before. The way that the Wild Duck Cluster just resolves into a dense swarm of seemingly tiny stars at 120x, or the Galilean moons of Jupiter stacked in an almost perfectly vertical line just above the horizon, are sights that I will not soon forget. And even overly familiar objects take on new life when you see them for the first time through the eyes of another–something I first learned as a parent, and am learning again as a stargazer. As I look to my next five years as an amateur astronomer, I am thinking about what’s next. And that means not just whether or not I’ll get a bigger, nicer telescope, or what observing projects I’ll take on during that time–it also means who I’ll share those observations with, and what we’ll see together. You are currently browsing the 10 Minute Astronomy blog archives for the day Tuesday, October 9th, 2012.